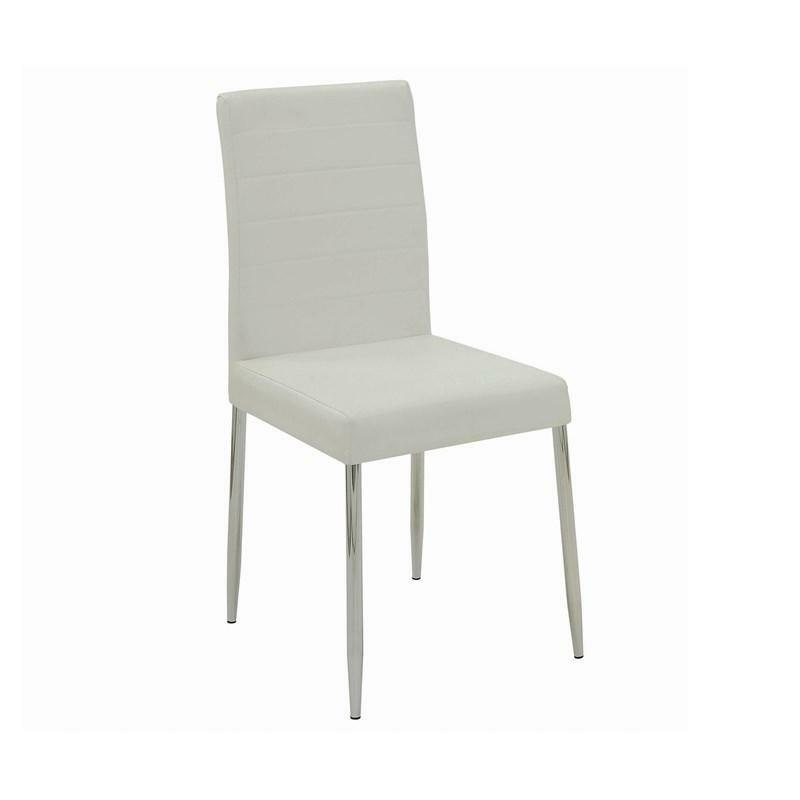 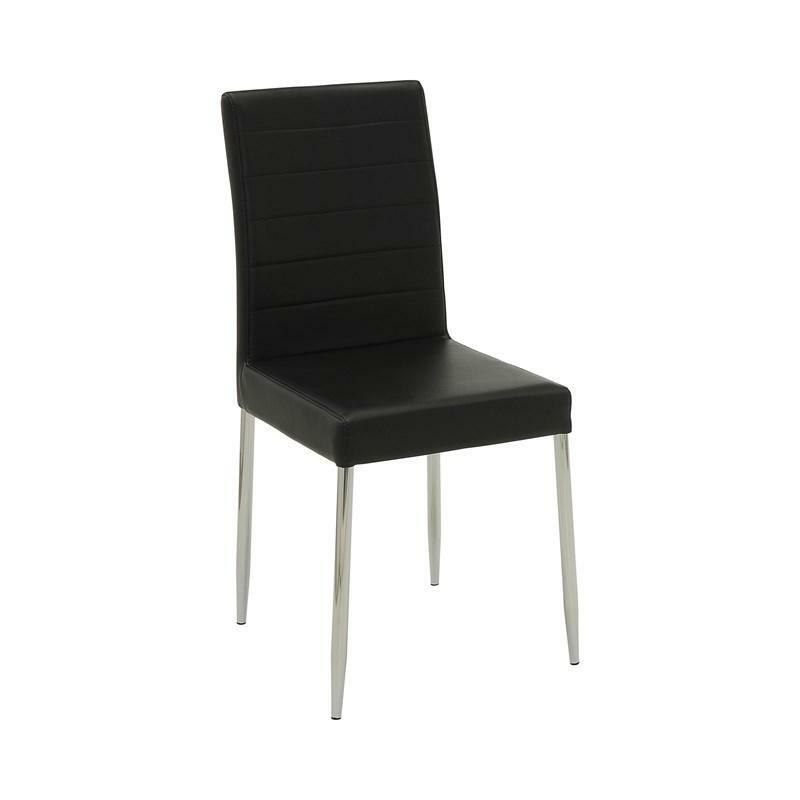 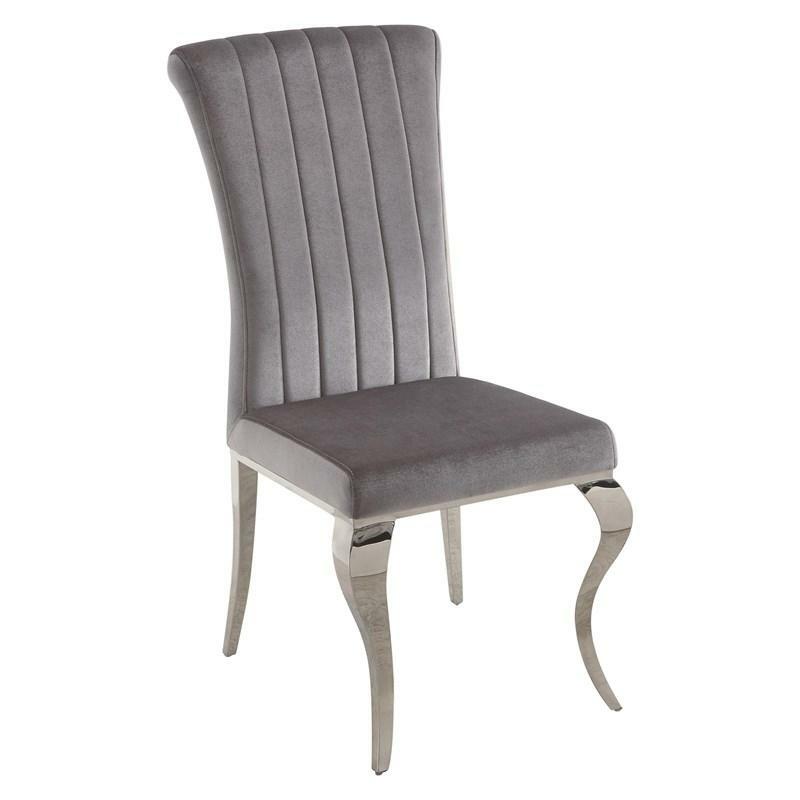 This elegant Manessier Dining Side Chair is sure to bring a gorgeous Hollywood glam look to your dining room. 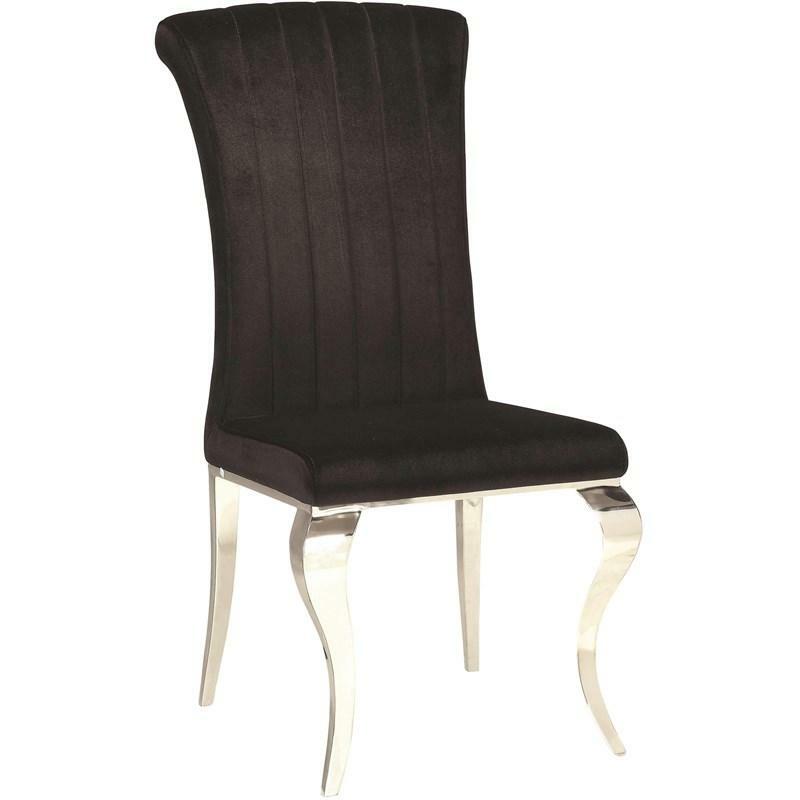 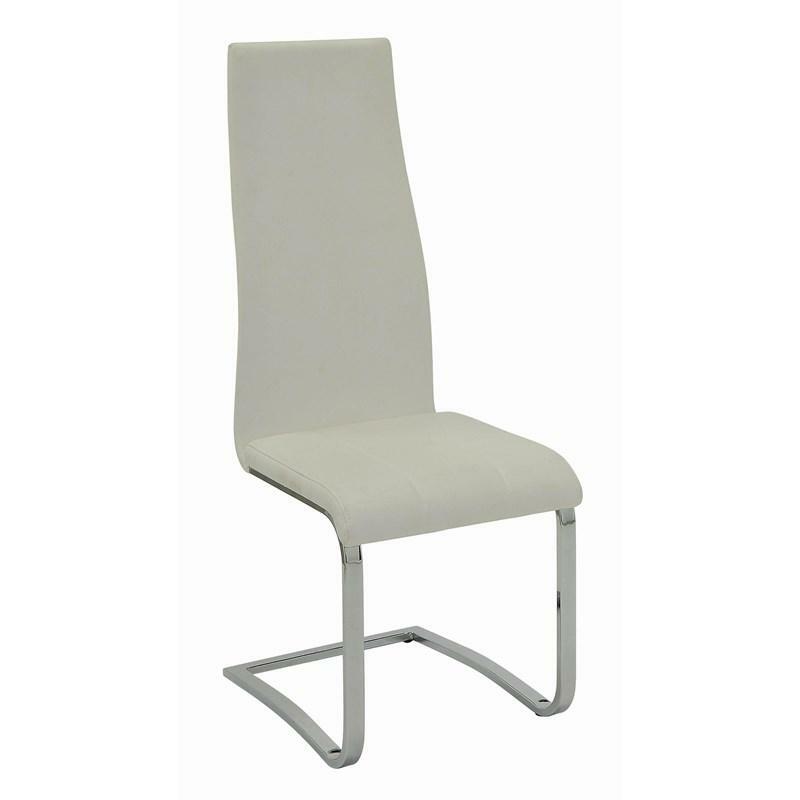 It features a stainless steel base, beautiful cabriole legs with a chrome finish. 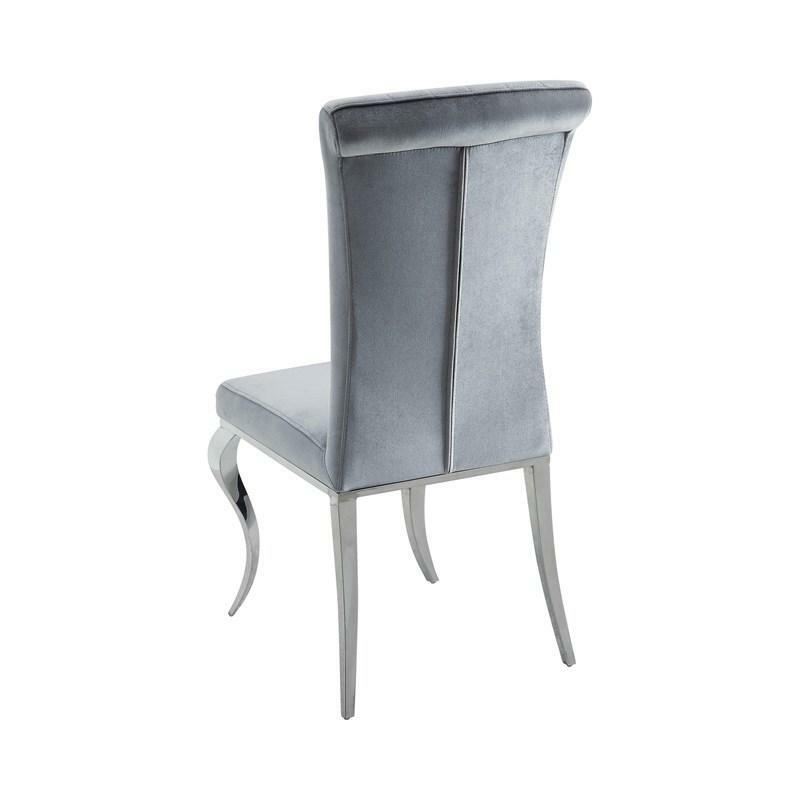 It is upholstered in a luxurious grey velvet fabric with stitching details on the back. 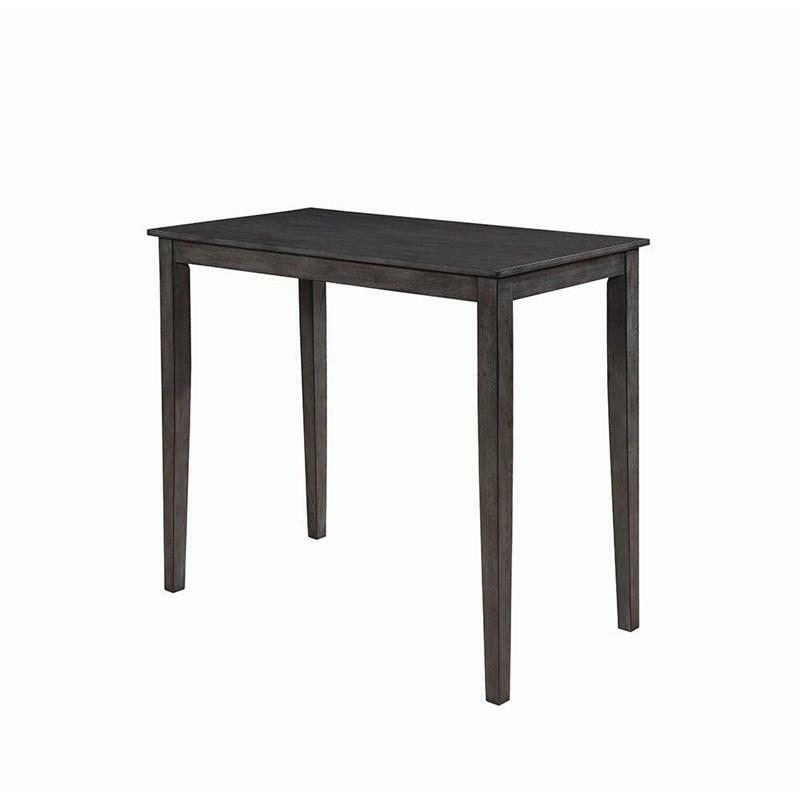 This clean line dining table offers a casual look with its warm grey finish. 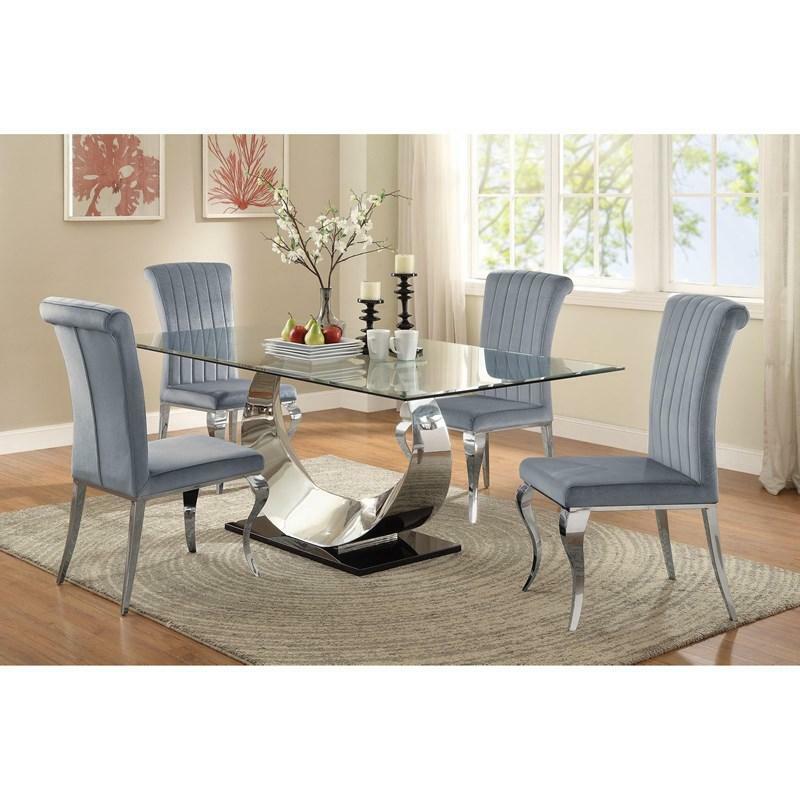 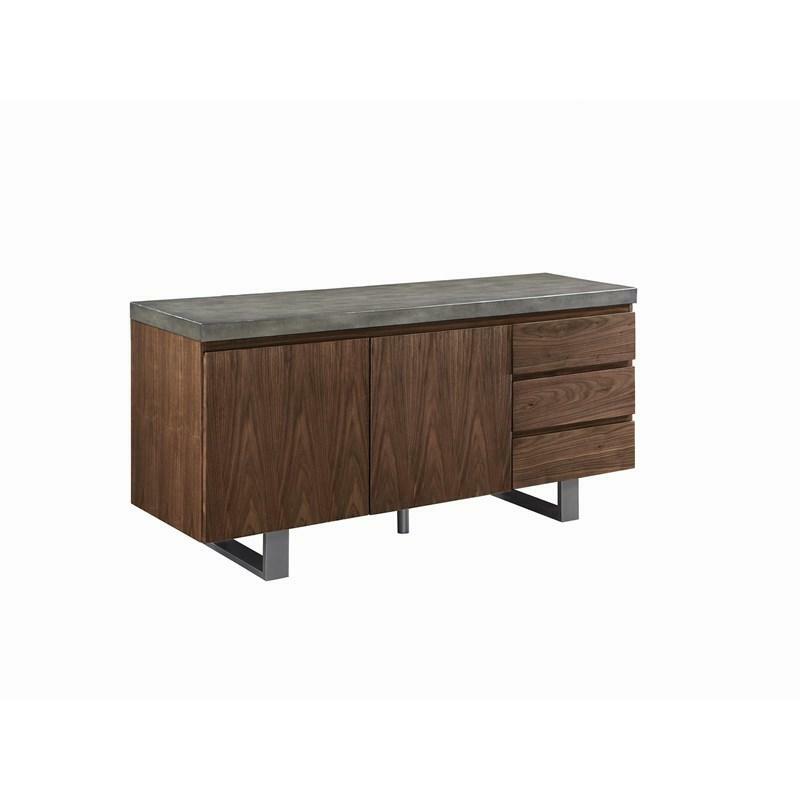 It features a rectangular table top and tapered legs.